USS Burton Island, Navy ice breaker, 1954. Since my dad died earlier this year, I have corresponded several times with some of his old Navy buddies. My dad served as a Naval officer aboard the U.S.S. Burton Island, an ice breaker, along the Aleutian Island chain, during the Korean War. My dad formed some lifelong friendships with some of those men aboard that ship, a few of whom are still living strong. Though my dad never saw combat, I am mindful on this Veteran’s Day of the contribution of those who have served in the military, like my dad. So many young people have sought to defend their country, whether it be the United States or some other nation, putting their lives on the line, honoring a sense of duty to their country, fighting for something they believed in. Many have lived to tell about their experiences. Many others have not. This is what I thought of today: I think of what happened 100 years ago this day, on November 11, 1916. It was just a few days before the end of the terrible Battle of the Somme, where British and German forces fought a battle of attrition over “No Man’s Land,” resulting in over one million casualties in this one battle alone, with no substantial gain from either side. The “Great War” was only about half-way over, with millions more dying, as it would be two more years exactly until Armistice Day, November, 11, 1918. 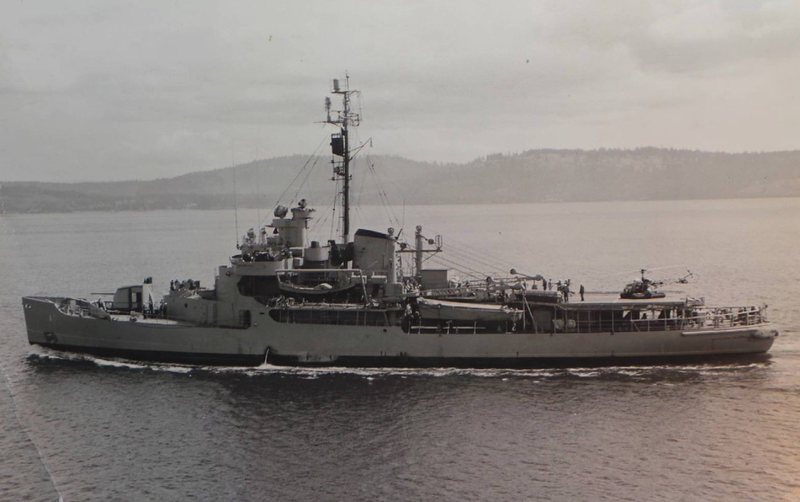 The American version of Armistice Day was renamed “Veteran’s Day,” in 1954, the same year the above photo was taken of my dad’s ship. I do not really understand what the whole point was concerning World War One. It is hard for me to grasp how all of that figured into the providence of God. But what I do know is that there were people on both sides who had stories to tell. These stories need to be told, and we need to hear them. This is true not just about World War One, but about any great human conflict, where different visions of morality, community identity, and faith come into dire conflict. Even if we do not understand why people were willing to risk their lives for something we do not “get,” we owe it to others to take the time to simply listen to their stories. The week before my dad died, I read to him a letter from one of his Navy buddies. It was all about life aboard the ice breaker. My dad, who was suffering from dementia, brightened right up when I read to him these stories. My dad told me some of his own stories aboard the Burton Island. All my years growing up as a kid at home, my dad had never talked much about his Navy experience. But I frankly was not interested at the time, being more obsessed with getting along with the other kids in my school, worrying about my grades, and watching television. I only cared about what was in my “little world,” and never cared to know much about the stories of this man who raised me. I am now glad that I took the time to listen… and to remember. I am so thankful now that in the last week of his life, my dad and I were able to share his experience of being a veteran, and what that meant to him. It made me realize that every veteran has a story to tell… a story that needs to be heard and remembered. This entry was posted on Friday, November 11th, 2016 at 8:55 pm	and tagged with veteran's day and posted in Topics. You can follow any responses to this entry through the RSS 2.0 feed. Thanks Clarke! We all need to remember and be thankful for those who paid the price for what we enjoy! Are Jesus' Words Really in "Red Letters?"